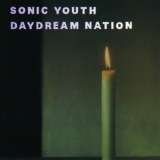 Daydream Nation is ranked as the best album by Sonic Youth. Members who like this album also like: Doolittle by Pixies, Loveless by My Bloody Valentine and The Queen Is Dead by The Smiths. 12. Trilogy: A) The Wonder B) Hyperstation Z) Eliminator Jr.
Related links: top tracks by Sonic Youthtop tracks of the 1980s, top tracks of 1988. Showing latest 5 ratings for this album. | Show all 1,479 ratings for this album. From start to finish daydream nation is an absolute masterpiece. Unarguably one of the finest rock album of all time. Guitars and drums in this album are so perfect that it never gets boring on the contrary every time you finish this album, you want to listen to it one more time. Every song in here is top class sure yet some of them are out of this world like teen age riot. One of the best tune i've ever listen in my whole life. I can say that for trilogy and cross the breeze too. If you read this comment and haven't listen to the album yet stop reading and go listen. I ensure you you won't regret. Epitome of punk as far as I'm concerned. It just feels right, but doesn't make an ounce of sense. Just look up the tunings they use for their guitars and tell me anything makes sense. This album just works, it's an experience to live through. I love the violent, broody atmosphere of Rain King, and the soaring chords of Cross the Breeze, probably my two favourite tracks. I can't give a better, er, dissertation than Deus over here, and I'll be the first to admit I'm hardly knowledgeable about the social/political commentary this is meant to be, but all I can say is, it's such a raw, visceral ball of energy that explodes in your head. Ludicrous, incredible, passionate. A must listen. On this the 30th birthday of one my absolute favourite records of all time, I think it's timely to reflect on the astonishing, bewildering, fully realised masterpiece that is this record. Daydream Nation stands as one of the most vast, most intense and most evocative albums of all time. I first found it back in 2015 and was enticed by it almost immediately, not fully realising why I enjoyed it so much but going ahead with the knowledge that one day this record was going to make sense for me. Truth be told, I still don't know fully why I love this record, nor exactly what makes it so brilliant. And trying to ascertain even the vaguest sentence on that subject goes way, way beyond the conventional reasonings of album structure, guitar solos and lyrics. Daydream Nation is an idea, a vision of sorts, not just an album. For me, it's a snapshot of the discordant loneliness of the urban youth in late 80s America. After a decade of social, political and economic upheaval that saw some fly to the top, it's the ones who are left behind that matter. The anecdotes, characters and references on the record are what populate this image; it colours a world that has become disconnected from the rest of society. That's where the name comes in; Daydream Nation. What better do people have to do when they're cut off from society but daydream about a better world? It's in the light of these ideas that Providence is without a doubt the most important track on the album. Whilst not the absolute best - we'll get on to that in a moment - it carries a number of essential functions. Thematically, it serves as a half-way stop and gives your mind a break from the swirling, ravenous mass of noise that constitute the first 7 tracks. Contextually, it captures the sound of that image I described; a lonely, melancholy piano plays as the world whirrs endlessly round it, before the romanticising of such feelings is crushed by those downward guitars that bring everything back into focus: the world is leaving you behind, and you have to face the reality of that. That of course is but one interpretation, and indeed a number of people I've met who also love the record have all said the same thing: they don't know what Daydream Nation is about. But they don't mean that in the sense that they're left clueless about it, they mean it in the sense that they know something is going on here, but just don't know how to describe it. I also could not sit here and try and explain my love for each track. It's just too detailed and confusing, and I'm fairly convinced I could write an essay about every song. Even what I believe to be the weakest track on here - Rain King - is an insanely cool, forboding, overcast day of a song. At an absolute push though, the four standout tracks have to be the mind-bendingly insane 'Cross The Breeze, the politically inflamed Hey Joni, the delicate, beautiful Candle and the astonishing Trilogy, which has earned a place as my absolute favourite album closer I've found so far and without a doubt one of my top 5 all time favourite songs. And even then, trying to quantify Daydream Nation is just so arbitrary. Going back to my previous point, at its core it is in an idea, a world you have to step into and fully embrace. In that sense, it's less of a record that 'still feels relevant today' and one that feels like a landmark in alternative music history, which its high regard within the music community certainly jusitifies. Daydream Nation is not only Sonic Youth's absolute crowning achievement but one of the single greatest accomplishments in music history. A record that conjures up images and ideas so unique to it and so well developed within its sprawling noise rock sound that it goes far beyond being just an album, and is more akin to 71 minutes of audio escapism into a world of melancholic searching for connection in a setting left behind by a society that doesn't care about it. - Those opening notes on Teen Age Riot are spine-tinglingly good. - The Sprawl has one of the my absolute favourite lines ever: "Does f*ck you sound simply enough?" - That moment of relaxation on the end of 'Cross The Breeze when the mad guitar chorus settles into a gentle, subtle post-punk ditty is so damn good. Gives you just enough relapse from the intensity of the previous 6 minutes so that you can recover from all that power. - Hey Joni packs a "KICK IT" only equalled by the Beastie Boys' one on Fight For Your Right. - The opening riff on Candle always puts me in mind of sunrise over Manhattan and is amazingly beautiful. - I've written what might as well be an essay on Trilogy already, which is posted on the track listing. It's simply one of the most stunning piece of music I've ever heard and has so much depth to it that I don't think I could fathom all of it even in a lifetime. Yeah its a masterpiece but i'm happy that its status as one doesn't hamper it in any way. Great songs performed by a band at the hight of its experimental talents. I can see where the high praise for this album comes from. It's very different than what was going on at the point in time that it was released. Has some great sound but ultimately, for me, it doesn't do as much as it seems it does for most people. Teenage Riot is an amazing song but other than that nothing really jumps out to much for me. A recent listen for me. Extremely catchy and interesting! I can understand the high ratings, though I am not quite there yet. Capolavoro dei Sonic Youth, disco che sta in una perfetta via di mezzo tra la furia incontrollata dei primi dischi e la maturità di "Dirty"... L'apice nell'iniziale "Teenage riot". Am I missing something with this album? I've tried numerous times over the years to get into it, but I usually tap out about halfway in. I love Teenage Riot, but after that all I hear is noise and poor production. And I'm a huge fan of shoegaze, so noise isnt the problem. I'm just not picking up on the advanced sonic textures and nuanced punk riffing that everyone else is. I love albums like Loveless, Siamese Dream, Dootlittle, The Queen is Dead, and Disintegration. Those albums are always lumped together in with this one, but for some reason I just cant get into it. Maybe one day it'll click, but as for now I'm gonna say overrated. I've already commented here, but I just typed up a much better description of whats great about this album and why it's my favorite on my greatest overall album chart, if you need to be convinced of why this record is amazing.